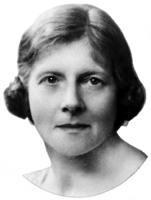 Information: Lois Blake (1890-1974), author of books about English and Welsh folk dance. Dances of England and Wales. Karpeles, Maud, and Blake, Lois. London: Parrish, 1950; New York: Chanticleer, 1951. The Llangadfan Dances, 2nd ed. Blake, Lois and W. S. Gwynn Williams, 1954. The Roaring Hornpipe, Round O, Aly Grogan, Lumps of Pudding. Welsh Morris and other Country Dances. Blake, Lois and W. S. Gwynn Williams, 1938. Welsh Morris Dance. Blake, Lois. Dainty Davy, Of Noble Race was Shenkin, Bishop of Bangor's Jig.